If you want to just cover grey and you don’t have a lot of grey, or just want a temporary change, then choose a temporary colour stain. 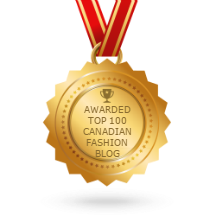 I love Clairol Natural Instincts Level 2 Non-Permanent hair colour. Because this is not a permanent hair colour, it will not change the colour of your hair from brown to blonde. However, if you have blonde hair, it can colour it a darker shade ie. brown. Even though it’s temporary be careful! If you’re blonde and decide to change your hair to a dark brown, it could permanently stain it that colour. If you want to actually change your hair colour, then go for a permanent hair colour. 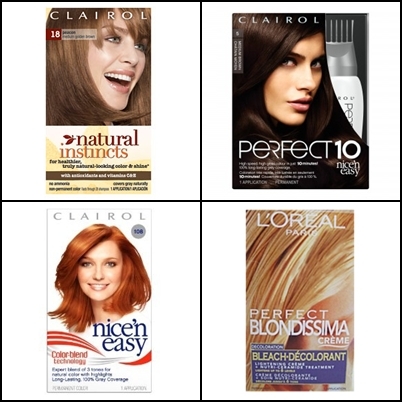 My favourites are Perfect 10 and Nice N’ Easy – both by Clairol. Both are great options with easy instructions. It’s important to know that with these products you cannot go from black or dark brown hair to blonde. For dramatic lightening, you need to first buy a colour lifting bleach (I like L’Oreal Paris Perfect Blondissima Crème) and take your natural or dyed hair colour out. When done, your hair will look white, light grey, light orange, or light pink. Make sure it dries completely and then colour your hair with the colour of your choice. I don’t recommend doing something this elaborate if you have never coloured your hair before. The best way to keep roots from constantly showing is to stay within three shades of your natural colour. Otherwise you will have noticeable roots within two to three weeks. When colouring hair for the first time or trying out a new shade, do it when you have lots of time and not before a big event. By lots of time I mean five to seven days at a minimum before your event. That way if something goes wrong you will have time to head to your nearest salon for some help. So, have you ever coloured your hair at home? If you never have, would you try it now? I am a cheapskate with everything EXCEPT my hair-tho i have seen your hair and it looks GREAT! Thanks, Su! I’ve been doing it for so many years it’s just second nature to me now. If you’re super nervous, then try a colour close to your shade that washes out. You might find it doesn’t just save you money, but you also become awesome at it.